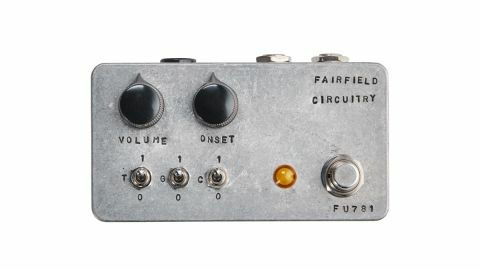 A well built pedal that’s also loads of fun. Not suited for rhythm playing. This is a versatile tool for experimental leads, even if it doesn’t suit rhythm playing. Offering just two pots, controlling volume and the gate threshold, as well as three switches, it’s straightforward but we had all the switches on all the time, so a tone pot instead of two filter switches might work better. Finding a wild lead tone is fun, intuitive and noisy, and the gate control allows for unique sounds. A glance inside reveals a neat layout, as you’d expect from a builder of its reputation.